As I write this installment of Apogee View, I am less than 24 hours from boarding my flight to Hamvention 2018. I’m looking forward to meeting all my AMSAT friends and making new acquaintances at the Greene County Fair Grounds in Xenia, OH. I guess there is something to be said for getting together with 30,000 of your closest friends, and the Dayton Amateur Radio Association (DARA) always puts on a great event. AMSAT has some important announcements. The GOLF program is beginning its development, and ARISS is kicking off its fundraising efforts to pay for the construction and launch of the Interoperable Multi-Voltage Power Supply (MVPS) and Kenwood radios for the International Space Station. Another important announcement is this year’s 36th Annual AMSAT Space Symposium and General Meeting, to take place on November 2 – 4, 2018 in Huntsville, Alabama, at the US Space and Rocket Center, One Tranquility Base (www.rocketcenter.com). Hotel accommodations will be next door at the Marriott at the Space & Rocket Center, 5 Tranquility Base, Huntsville, Alabama. Auction, Annual Banquet, Keynote Speaker and Door Prizes!! We are working on tours of Redstone Arsenal and Marshall Spaceflight Center. On the education front, Dr. Alan B. Johnston, Ph.D., KU2Y, has been appointed as AMSAT Vice President, Educational Relations. Educational outreach is critical to the mission of AMSAT. AMSAT continues to create the structure for fulfilling our mission component regarding education with projects such as the CubeSat Simulator, ARISS, and outreach to primary, middle, high school, and university programs. 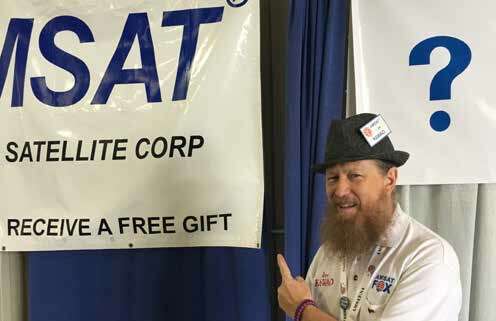 Alan has agreed to help AMSAT establish and coordinate an education initiative program and serve as AMSAT’s senior point of contact with outside organizations regarding educational outreach. The increasing importance of fulfilling education goals as justification for launch opportunities is essential for AMSAT. Alan is aptly suited for this position as he is currently an instructor at Rowan University in the Electrical and Computer Engineering department and has previously taught at Seattle University, Illinois Institute of Technology, and Washington University in St Louis. Alan is interested in using amateur radio satellites to teach on various engineering and scientific topics, and he thoroughly understands the teacher perspective. He holds an Amateur Extra class license and is also a published author. From April 30 to May 2, I had the pleasure of attending the 15th Annual CubeSat Developer’s Workshop at Cal Poly in San Luis Obispo, CA. This a premier event that brings together universities, K-12 educators, commercial vendors, commercial space opportunities, and the public from all over the globe. AMSAT had a table this year, and traffic was steady. The successes of AMSAT’s AO- 85, AO-91, and AO-92 show that Amateur Radio Satellites work well. 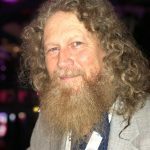 I must commend AMSAT’s Vice-President, Engineering, Jerry Buxton, N0JY, for laying the groundwork with the CubeSat community. The discussions about FCC licensing and the FCC Part 25 Notice of Proposed Rulemaking (NPRM) were lively. Many presentations covered propulsion with all the varying methodologies, including electrical ion drives, cold, and green gas thrusters, all of which are made to fit in CubeSat spaceframes. With the launch of NASA’s first interplanetary MarCO (Mars CubeSat One) CubeSat the following Saturday from Vandenburg AFB, CubeSats are not just for LEO anymore. AMSAT is working with the ARRL to provide comments to protect Part 97 Amateur Radio Service spectrum. We must realize that the NPRM is about Part 25, Satellite Communications or generally Commercial Satellites. The FCC is attempting to “streamline” the process that has been used to license large geostationary satellites to allow non-geostationary orbit (NGSO) commercial CubeSats access to frequency and licensing for short duration missions. There is an approach to standardize size (no smaller than 1U) and number (10 per license) to limit network swarms of CubeSats. Part 97 Amateur Radio Service and Part 5 Experimental Radio Service are only mentioned in the notes of the NPRM and not in the actual Part 25 proposed rules. Even so, AMSAT and the ARRL will be diligent in our respective reviews and comments. After I return from Hamvention 2018, I’ll be at SEA-PAC June 1 – 3, “The Northwest’s Largest Ham Convention” or the ARRL Northwestern Division Convention in Seaside, Oregon. I’ll have an AMSAT table and will give a presentation for amateur satellite enthusiasts in the Pacific Northwest. If you’re in the area, please stop by, say hi, maybe renew your membership and find out the latest AMSAT goings on. I’ll be back in Reno, Nevada, for NVCON at the Boomtown Casino Hotel, July 20 through 22. I’ll have an AMSAT table, a presentation on “Satellite Operating 101,” and Anthony Marcin, W7XM, promised me dinner if I gave the keynote address at the Saturday evening banquet. 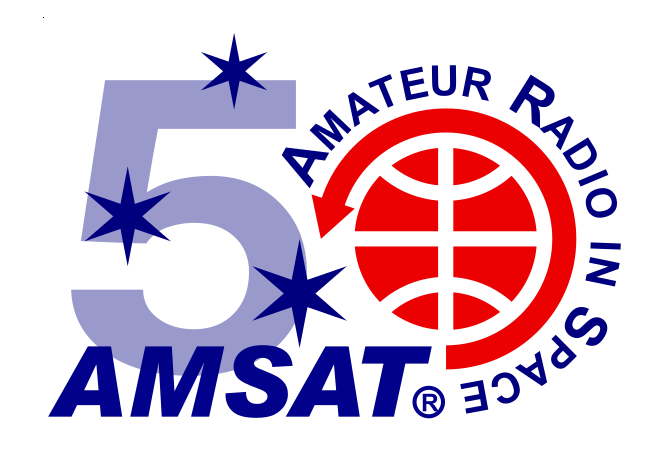 Further out towards September 21-23, I’ll be one of the hosts for the AMSAT Academy at the 2018 Duke City Hamfest/ARRL Rocky Mountain Division Convention in Albuquerque, New Mexico. If you’re in the area for any of these events and would like to help, please send me an email. Elsewhere in The AMSAT Journal, you should find relevant updates about the Engineering and Human Spaceflight, or ARISS, projects. Any dollars you can contribute to these projects will go to good use. A few words on AMSAT Policies… The Executive Team has been working on updating several policies to bring AMSAT current with the prevailing standards of doing business. The AMSAT BoD already has approved a harassment policy on, and work has begun on a comprehensive social media policy. AMSAT is hiring a consultant to assist with this comprehensive assessment, but the BoD already has determined that the corporation shall own all its social media. On the long-awaited EAR/ITAR Policy, I missed my own deadline for completing the policy before Hamvention. But as policy work has continued, our AMSAT engineers have asked for another chance to review the policy. Since this policy directly affects the engineers, I have promised them the additional review time. Complex requirements remain to comply with the federal regulations, but I think AMSAT has found a methodology to not only comply with EAR/ITAR but also potentially have the ability to work with some of the other AMSAT organizations around the globe. I hope to share a complete explanation in a future issue of the Journal. I’ll close on a simple but important note borrowed from Tom Wolfe’s book and made into a motion picture, (RIP Tom Wolfe 5/14/2018). “Do you know what makes your bird go up? Funding. No bucks, no Buck Rogers.” It takes real dollars to build and launch our satellites, so please give what you can.